Jolly Dutch Productions is a new publisher from the Netherlands and they contacted us to have a look at their first title, Chartered: The Golden Age. Please note that this is still all prototype and will be going on Kickstarter again on the 16th of October! So keep an eye out for this one very soon. Update Live now on Kickstarter! Building Amsterdam is clearly enjoyable. Make smart building choices, invest in the different companies and be at the profitable end of the mergers. Chartered The Golden Age from Jolly Dutch Productions. So do you have it in you to become a Dutch master? In Chartered: The Golden Age we are merchants looking to profit from the growing trade market with the possibilities to cross the seas farther than ever before and bring back lucrative goods like gunpowder, spices, coffee, opium or gems to trade in the West. With the rapidly expanding position of wealth, there will be a heap of investing in new warehouses alongside the famous Amsterdam canals. Build high and build plenty! Smart merchants start expanding those warehouses into big chartered enterprises and make money out of it with stocks and beneficial mergers to the most important person, themselves. On your turn you can do essentially two actions, you will buy new land from the market or you will build warehouses which will expand, start an enterprise or merge enterprises together. When you build, you will get the chance to trade up to two stocks in one of the founded enterprises out on the board. Action one is simple, you will pay 50 guilders to the bank and from the 3 displayed building cards you may buy one or you can buy the top one blind from the face-down deck. There is currently no hand limit and you can have as many cards in hand as you may wish. Action two, and the meat of the game is starting putting out those spiffy warehouses onto their buildable land plots or on their given level within an already existing enterprise. You can build adjacent or upon an already build enterprise, which will raise the stock price by 10 guilders. Or you build on an empty plot and can start one of those lucrative goods enterprises and can build 3 warehouses immediately and put the stock out on the board. You build between 2 or 3 enterprises and start the merger of those enterprises. With the building cards, you will try to claim key areas of the lands where mergers will inevitably happen. After building the lot, there will be a build payout by the bank as a reward. The height of that reward depends on the stock value or is standard when you found. As for the last step in that action, you will have the possibility to trade two stocks of any enterprise out on the board or you can buy a flag stock. You will pay the standard 50 guilders or the stock value when it’s above that threshold. With that, you will try to make future expanding more lucrative and set yourself up for more profit. So there are 9 goods and they have 9 stocks each. When you found the company, you will get the first stock free and you can buy up to a maximum of two flag stocks in any company out in the game. Those will liquidate at the end of the game times 4 or they will be lost in a merger for again four times the stock value. You can buy only 2, one for 200 guilders and the second one for 400 guilders. So make it worth the money and make sure your chosen goods will survive the war of the mergers. Or at least, make some bucks out of it when it happens. So how does it look on the board and what did we think? We only played it a couple of times as a two player game, sickness, and a new-born baby got in the way for a higher player count preview, but as you all know two player is our main focus anyway. As this is still a prototype and also in development and testing, some of our experiences may differ greatly when the end product hits Kickstarter and retail, but as we promised here we will give you our honest thoughts on the game and our feelings with which we left the game. Some major highs for us are the fact it is based on a homegrown history and we are big fans of that fact. A second fact is that we, of course, applaud this coming from a new Dutch publisher and we wish them all the best in every endeavor they will try. So again many thanks for trusting us with your precious game Alexander and Arnold. Chartered The Golden Age from Jolly Dutch Productions won the Noorderspiel 2018 Design award for best Design at the convention. You are visually growing the city of Amsterdam. It’s such a fantastic feeling to go up in the air stacking levels and build wider with your physical presence to creep to a merger ever so slowly. The rules are fairly simple, but it still maintains a nice degree of tactics & strategy to it. With planning ahead your future builds versus where you see other competitors heading out to is fun. You can deny people stuff they want and you will have to manage who is going to be the leading merging player. So there are tactical choices to make too. reacting to what others are expanding is solid information. In a two player game though this is less of a factor. We hope they can tie it up just a notch to make it more tight and shorter. Fewer lots and smaller part of Amsterdam? Appeals to a variety of people and isn’t a big and scary ” stock market” game. We are just putting nice looking warehouses, right? This can be a great step up to heavier and more involved economic games from another well-known Dutch publisher 😉 It has some unintentional similarities here, maybe it’s the merging from Indonesia, but it is a far from that complex kind of style game. Inspiration came from among Acquire and Big Boss and other things. With 2 there is a lot of empty ground to build before you will start merging. There is no real scaling when playing with 2 or with the full 6. This does make this also a longer game with two. The end is still is when all warehouses on the board. Also, the stock information, which is supposed to be hidden information, is absent with two. We think this is a game which can benefit from more players around the table or maybe an Autonoma function which builds itself lots, takes cards from the market and invest in stocks. We would love if they can add a tad more possibilities to the game. For example more building card market manipulation. You can hoard cards endlessly, there is no hand limit, but if the market is out without any interesting cards you will have to wait it out. Just a funny expression from Alexander. Chartered The Golden Age from Jolly Dutch Productions. * Update from 16.10.2018: After getting back to the drawing board, and with fresh new energy & a new box cover design, Chartered the Golden Age is back with some nice new wrinkles to the game. The relaunch is planned on 16 October and is hopefully successful this time around and we wish the great people behind Jolly Dutch the best of luck. We like the new box cover a lot, much more open and inviting. In overall sense we are still quite happy with most of these tweaks and we also think this is an excellent gateway board game into the hobby and we think is has the potential to expand its weight even more in the future with more challenging things added to experience. But first let’s get this campaign funded. With the passion and hard work Alexander & co have put into this, we trust them to go the extra mile and bring more Chartered to the masses if they want that. Scaling in how much roofs will be build in regards to the player count is really good and they have balanced that quite right. Seeing the growth of the City in physical form is still an awesome thing and merging all those big companies is just so enjoyable! If at the moneymaking end of the deal that is. Most of our earlier 2 player issues have been solved, but we still feel this is a game more enjoyable with 2+ players and will feel a little quicker to play also. We also still experience that there can be a stalemate situation with the wrong cards being out on the market or that the luck factor of grabbing the needed cards only by your opponent can feel a little less satisfying or in your control. The Event cards do add more randomness to the game, so that’s a trade of with the more thematic way the game feels. Let’s close out with a famous saying, or so supposedly he said this, from one of the biggest Dutch paint Masters ever lived, Rembrandt. I guess we Dutch are a little like that, crazy happy people. Of course you will say that I ought to be practical and ought to try and paint the way they want me to paint. Well, I will tell you a secret. I have tried and I have tried very hard, but I can’t do it. I just can’t do it! And that is why I am just a little crazy.  Thanks for dropping by and we would love to get your feedback on our content and what we can do for you to get the best out of our shared board game experiences. Prev Where Dragon Castle’s crumble you can build your own realms legacy. A Dragon Castle board game review.